Keola Beamer (b. Keolamaikalani Breckenridge Beamer) is a master of Hawaiian slack key guitar playing. 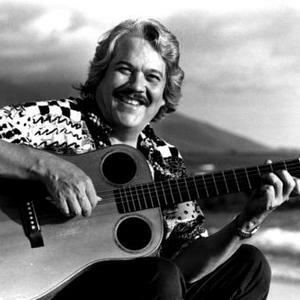 The composer of "Honolulu City Lights," one of Hawaii's top selling songs of all time, Beamer was one of the first to blend traditional Hawaiian chants and instruments with contemporary influences. Representing the fifth generation of musicians in his family, Beamer traces his roots back to King Kamehemeha and Queen Ahiakumai, 15th century rulers of Hawaii. Beamer's great grandmother, Helen Dasher Beame (1882-1952), was one of Hawaii's most prolific songwriters and an influential hula dancer. Beamer, who began his career accompanying dancers at his mother's hula studio in Honolulu, recorded many songs composed by his ancestors. After studying classical guitar in high school and college, Beamer taught private students and wrote a method book, Hawaiian Slack Key Guitar, that was based on a 16th century tablature system for the lute. Beamer's debut album, Hawaiian Slack Key Guitar in the Real Old Style, was released in 1972. Although his first ten albums were released on small independent labels and distributed only in Hawaii, Beamer has widened his following since 1994. His most recent albums -- Wooden Boat, Moe 'uhane Kika (Tales from the Dream Guitar) and Mauna Kea, White Mountain Journal, released on George Winston's Windham Hill-distributed label, Dancing Cat -- have been included on Billboard's Top World Music Albums chart. Beamer's fourth album on Dancing Cat, Kolonahe: From the Gentle Wind, is scheduled to be released in April 1999. Beamer resides in the old whaling town of Lahaina on the island of Maui.